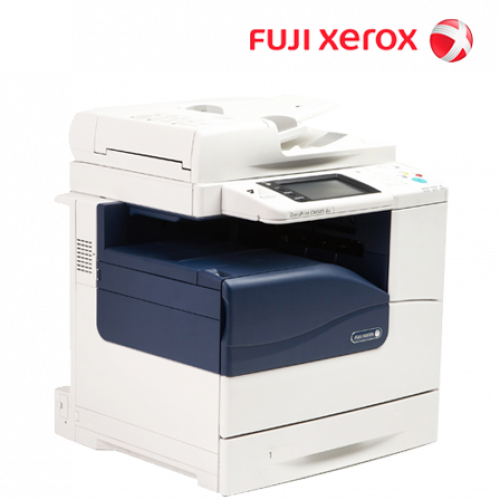 The DocuPrint CM505 da is Fuji Xerox Printers first true enterprise class A4 copier based on Multifunction Device, bringing high-end enterprise level technology, functionality and innovation to the mid-market, small and medium business (SMB) level. With advanced features and high-end multifunction device capabilities, it enables workgroups to consolidate existing print fleets and achieve the highest levels of productivity. In fact, the DocuPrint CM505 is so powerful and versatile, one single unit effectively performs the job of several lower-end multifunction devices, faster and more reliably. 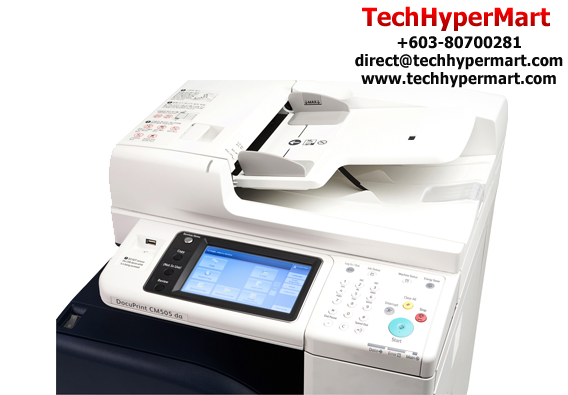 Print, copy, scan, email and fax (optional) with absolute ease with the DocuPrint CM505. 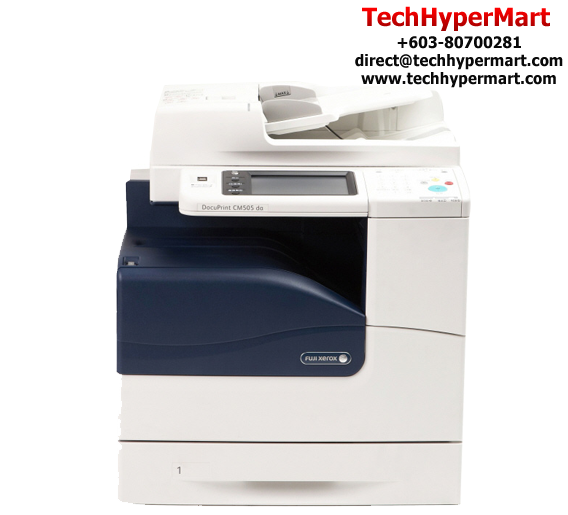 Type: Colour Scanner Scan Speed: Mono: 45ppm ; Colour: 45ppm Scan Features: Scan to PC. Scan to e-mail. Scan to folder. Scan to USB*. *Optional DocuPrint CM500 Series Upgrade Kit is required. All-in-one functionality gives you the power to print, copy, scan, email and fax (optional) in one compact unit. And with the Fuji Xerox multi-tasking network controller, all these tasks can even be performed simultaneously. Easily access machine functions with the large 7 inch WVGA touch screen with feature icons for easy navigation. All-in-One First Page Output Time Approx. 9.5secs.